Choose from a wide selection of inflatables that we stock or let us know if you need a custom inflatable character. We can manufacture a wide variety of characters as long as we have a sketch or reference to go by. These inflatables are unique as we try to make them as true to their original resemblance while still keeping a cartoonish look to them. If what we are replicating is a realistic character then we look for patterns and textures with a high image resolution so that we can print them without compromising image quality. One of the reasons they are so popular is because they are so big but at the same time they are accurate in proportion, colorway, and shape so they keep their unique features. Nefertiti, along with our other Egyptian themed inflatables, is amongst our most popular inflatable characters. We took many pictures, textures, and scale models to reference whilst creating this specific inflatable. It is covered in colorful patterns and the design behind it is as realistic as possible. When event attendees see it they are drawn to it for its uncanny accuracy and sureal placement in exhibitions. It's size is another thing that attracts people because they are not expecting to see a giant Nefertiti at any museum or at an art exhibit and when they do it is just so out of place that they tend to take pictures of it or take pictures with it. This is only one of our hundreds of inflatables in this category. In the past we have also come across customers who need something completely outside of our inventory's scope and we manufacture unique, one off, inflatables for them. For example, we created a large 30Ft inflatable Ronald Mc Donald. We have also made characters from scratch that originaly started as out as logos for a company or cartoon mascots and our job was to convert them into a 3D figure that they could take with them to their events.. 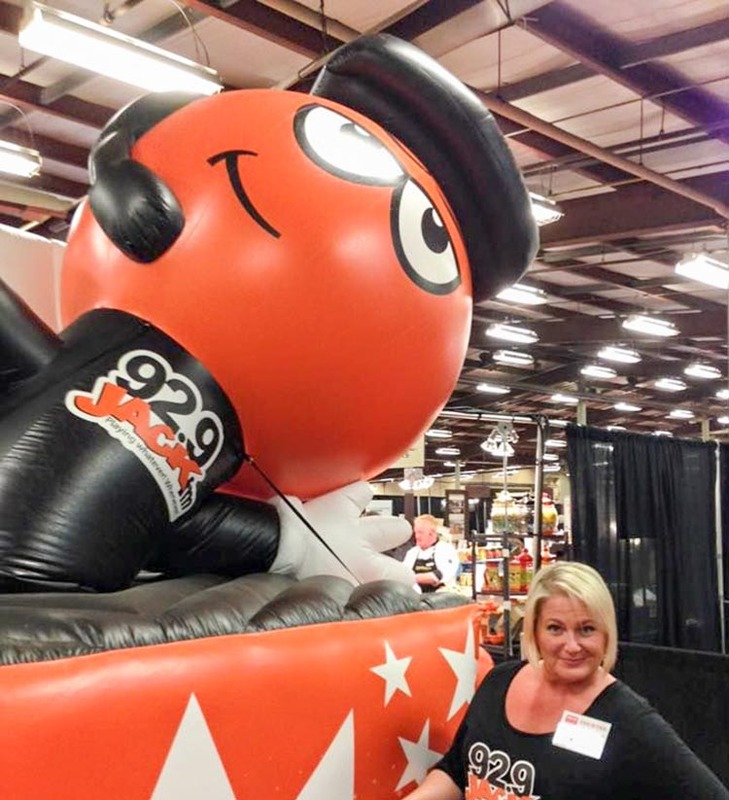 In essence,creating custom inflatables is what we do and more than anything, we're passionate about it. "I was really impressed with the overall design. Really interactive and fun." Our inflatable characters come with cool stuff already packed in. We think that typical and common ideas are great to build on top of, but none of our projects should be common and typical. We strive to make every single unit unique and important or else we would be producing what every one else is producing. Now although we do have some cookie cutter designs we customize them and make them better than they were the first time around. The materials and techniques are the same but we try to get creative with the designs. Even if it's something we have made in the past we strive to give it a magic touch that will make it even better this and every time around. If you have an idea that you would like to see implemented on on of our custom designs then just let us know. We are always open to designing with you since we want you to be completely happy with the final product. As a matter of fact, over 90% of our inflatables are customized and unique and the rest are request for stock inflatables. As with everything we fabricate in our facility we use the best materials and while handling the materials we use the ideal techniques to retain that quality. On all of our printed products are we apply a special U.V. inhibitor coating that will protect the print from the sun, fading and scratching. The protective coating seals the print onto the media and it gives it a nice solid finish. During the sewing process we use special stitching methods to keep each panel that will make up the inflatable nice and firm along with all of the other panels that will form the inflatable. The inflatables shape is achieved through advanced CAD software that allows us to form all of the panels while double checking to see if the desired structure is possible or if internal modifications have to be done. Once the cad software is done we make a scaled paper model to make sure the files panels are the right dimensions and to see how the overall inflatable is going to look. If everything is good we enter our manufacturing process, if not then continue to fiddle with the design until it is perfected so that we can insure quality. 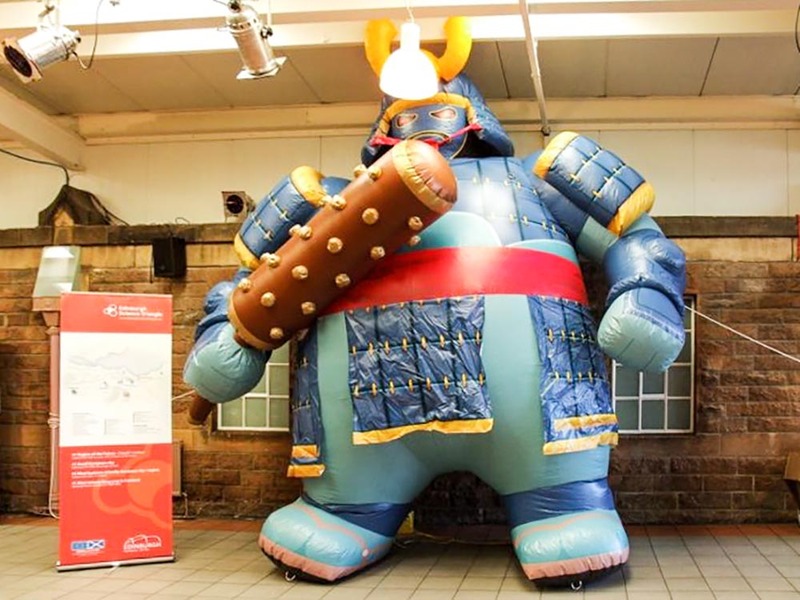 Would you like to see more detailed photos of our cool inflatable characters? Check out our mini gallery below! Character from the movie "Pixels"